In this article we'll try and address some of the most frustrating problems with WordPress and probably some of the many difficulties first time users have using the open source CMS. WordPress installation-It needs to be hosted, someone has to install it, they need to know what modules, plugins, or extensions you want. This is complicated. It costs lots of time and money. You will need WordPress Developers. Support-There is no central place to go to get solid, guaranteed support without paying. Each module is supported by different players in the market with their own schedules and priorities making support even more complicated and costly. The WordPress Editor and Workflow-Can be difficult to navigate without making mistakes. If you want to make a change on the page you will have to navigate to a number of other pages like the style sheet, settings of your theme, the page itself. Plugins- you have to go through the ordeal of trying to figure out which add-ons are either incompatible with your theme, or incompatible with other add-ons. NO workflow management- It also doesn't do workflow management or track user roles. WordPress media manager is very difficult to manage. Using their drag and drop feature can get confusing, takes time. WordPress demands a lot of upkeep- You need to constantly do updates, backups, theme and plug-in updates. SEO-WordPress will not stop you from using bad code. Many WP sites cannot be properly indexed by Google. WordPress carries a lot of bloat-The more plugins you install the more website performance suffers. Hiring support-Is costly and you never really know what kind of quality you’re getting. Developers also leave and you’re left with trying to pick up the pieces. Security- WordPress is vulnerable to security breaches due to it’s popularity. One hack, hacks all. 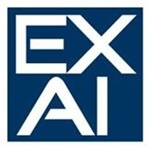 Exai is fully managed. No need to worry about Plug Ins or managing developers. All our apps and add ons are fully integrated into the website builder. Fully supported platform with updates that get made automatically.You get a centralized support team that’s dedicated to their own website builder, they've created a library of support articles, email and online chat in order to be there at all times and help you build your website. SEO is automatically enabled with the option of managing and adding keywords in your "page settings" menu. Hiring support such as web designers or content creators for your site from Exai's list of authorized professionals is cost effective and easy to do. You can also add permissions for service providers so that they only have access to the parts of the website you want them to work on. The platform is fully secure and updated daily to ensure security for your site.